Cyber security stocks are currently the hottest sector, as computer network data breaches have moved beyond mischievous hackers and have become large organized operations that target companies and governments. Hardly a week goes by without another headline grabbing computer network breach being reported that results in the loss of data and security concerns. This is causing a lot of money to flow to cyber security companies, providing a nice boost to cyber security stocks. Wall Street has taken notice of companies that provide computer and network security services by bidding up the shares of cyber security companies. While many of the stocks in this hot sector have rallied nicely in recent years, there is a still a lot of money that will be dedicated to cyber security for years to come, which means explosive revenue and potentially earnings increases for cyber security stocks. Anyone who knows anything about investing or trading the stock market understands that companies with explosive revenue and earnings are likely to be stock market leaders. Not only are these companies poised to rake in the revenue and earnings, as tremendous resources are dedicated to protect against cyber security threats. Cyber security companies are also potential takeover topics. As the technology sector has matured, large technology companies are having trouble continue their high growth rates that made them famous and made their stocks soar. 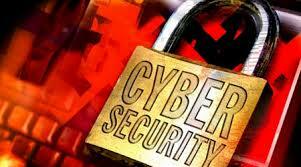 Cyber security is definitely a sector that provides a lot of potential future growth in the high technology arena. It is likely that some of the fastest growing cyber security companies will be taken over sooner or later, especially if one cyber security stock is bought out. There could be a mad rush and bidding war for cyber security stocks by technology companies not wanting to miss out on the next technology high growth area. Why All The Optimism About Cyber Security Stocks? Why are so many analysts so optimistic about cyber security stocks? Computer networks have been neglected over the years, and cyber criminals are increasingly taking advantage of the often easy access to supposedly secure computer networks and databases. Whether they are coming from criminal enterprises or unfriendly governments or just solo hackers, cyber hacks on computer networks and databases are increasing and hitting the public consciousness. In response, huge resources are going into cyber security, which is boosting the fortunes of cyber security stocks. One of the most recent cyber security attacks involved the stealing of millions of federal employee’s data on United States government computer networks. Many suspect this attack was orchestrated by China for unknown reasons. Even before this latest computer hack, President Barack Obama proposed $14 billion for cyber security to protect United States government computer networks and databases. While that request may have seemed unlikely to be filled earlier in the year, it now seems very likely to be approved by Congress, with perhaps more funding, in the wake of the headline grabbing cyber attack that stole employee data from the United States government. During 2015, governments and companies are expected to spend more than $95 billion on cyber security by public and private organizations seeking to protect their data and computer networks from cyber criminals. This is just the beginning of the ramp up in cyber security spending. Analysts that follow the cyber security sector estimate that by 2019 cyber security spending will increase significantly to more than $155 billion. That estimate might actually be low, since the wave of cyber security attacks appears to be getting bigger over time, which may prompt even more money to be spent on cyber security by reluctant companies and governments. Investing in cyber security stocks is not difficult. Cyber security companies have been around for years, and many of them are publicly traded. It is just recently that the public and Wall Street have realized that cyber security stocks make good investments. 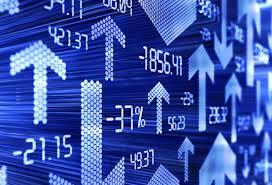 The following are some ideas regarding how to invest in cyber security stocks. There is actually an Exchange Traded Fund (ETF) that is dedicated to the cyber security sector of the stock market. It is called The PureFunds ISE Cyber Security ETF (NYSE: HACK). HACK is comprised of thirty cyber security stocks that represent companies located inside and outside of the United States. 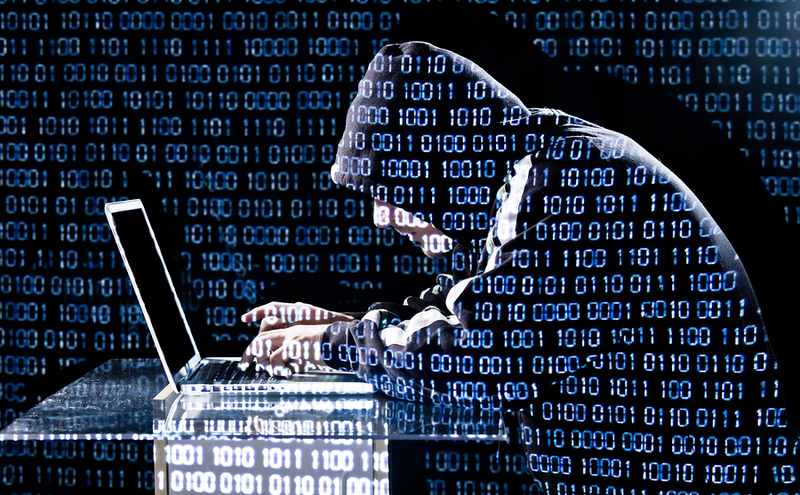 Investing in HACK spreads out the risk associated with stock investing among numerous companies. If you would rather invest in cyber security stocks directly, the following are some ideas. 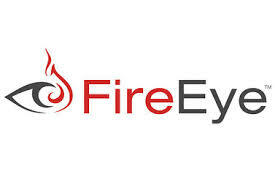 FireEye Inc. (NASDAQ: FEYE) develops and provides network protection products for public and private clients. Their products are designed to protect computer networks from network hacking threats and malware. FEYE has been one of the hottest stocks in the cyber security sector, and is emerging as a leader in the space. Infoblox Inc. (NYSE: BLOX) is a developer of automated network control systems that protect computer networks from cyber attacks and malware. KEYW Holding Corp. (NASDAQ: KEYW) is a way to play the United States government’s cyber security initiatives. While the company serves both public and private clients, it is one of the leaders in providing cyber security for sensitive government computer networks for the military and intelligence communities. Even though many cyber security stocks have made healthy moves higher recently, it is likely that the sector will rally for years to come, as increasing cyber security threats and network breaches lead to an explosion in revenue. Some of these stocks could be consider takeover targets as well. They provide both long-term growth and takeover potential. Is now the time to invest in REITs? Real Estate Investment Trusts, commonly known by their acronym REITs, have made a healthy run higher in recent years, but have begun to pull off of recent highs, due to anticipated interest rate hikes by the United States Federal Reserve. In fact, REITs have sold off approximately 10% from their early 2015 highs. This makes investing in REITs more attractive, but is it really the time to invest in REITs with interest rates expected to rise? This is a hard question to answer, but looking at past performance can yield some clues. Stock market participants appear to be selling REITs in anticipation of the Federal Reserve rate hikes that are expected later in 2015. The assumption is that if rates are not hiked in September 2015, they will be by December. 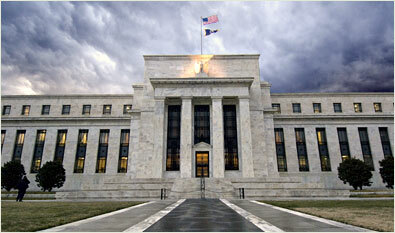 However, even that later date is quite tentative, as the Federal Reserve is reacting to incoming economic data. If the data weakens during 2015, the rate hikes could be put off until 2016. Some even speculate that Federal Reserve interest rate hikes are unlikely before the fall 2016 election. Why does it matter to the stock prices of REITs if the Federal Reserve raises rates sooner rather than later? 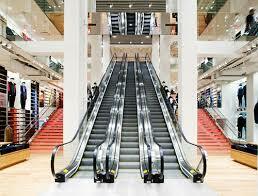 Because REITs finance their operations by using a considerable amount of short to medium-term borrowing. REITs borrow heavily to maximize their real estate holdings. This works well for expanding their businesses more quickly; however, it also makes REITs quite sensitive to changes in interest rates. As interest rates rise, the cost of doing business also rises for debt-laden REITs. The rise in interest rates may not affect them right away, but once they look to roll over or expand their loans, they will be hit with higher interest costs. Interest rates have been stuck at multi-decade lows since the financial crisis of 2008 / 2009. Sooner or later, the Federal Reserve is going to start raising rates, and it this will have implications for REIT’s stock prices. Since the interest rate increases have not even begun yet and REITs are already selling off, is now the time to invest in REITs? It is probably not an ideal time to invest in REITs, but there are many factors that affect stock prices and investor’s perceptions of different stock sectors. Keeping this in mind, it could be a good time to initiate an investment in REITs with a small investment. If REITs fall in price as the Federal Reserve raises interest rates, an investor can average in and buy additional positions until they have purchased the total amount that they intend to invest in REITs. One reason that REITs are so attractive to invest in is because they receive special tax treatment by the Internal Revenue Service (IRS), due to laws passed by Congress. REITs deduct dividends paid to shareholders, which are technically the owners of the companies, from their bottom line earning. In order to be able to deduct dividends paid to shareholders from their federal tax bill, REITs have to distribute at least 90% of their taxable income to REIT shareholders. REIT shareholders then pay federal taxes on their REIT dividends as ordinary income. What this all means is REITs pay high dividends and will continue to pay high dividends for the foreseeable future, as long as federal tax policy provides them special treatment for paying out most of their income as dividends. This makes REITs excellent investments for those seeking income from their stock holdings. REITs are not high-flying stocks that can be expected to gain a lot in nominal share price in the short or even long-term. But, they are solid dividend payers that pay well above the paltry amounts that savings accounts pay. It is best to look at REITs as good vehicles for diversifying an investment portfolio into real estate and for earning income, as opposed to viewing them as long-term stock holdings. Over a long period of time, an investor just needs to continuously earn money from REIT dividends to make significant amounts of money holding REITs. The nominal price of their REIT shares are not relevant to long-term holders seeking income. Which REITs Are Best To Invest In? Look for REITs that have less exposure to debt or that have debt tied to longer-dated securities. Also, keep in mind that many REITs pay healthy dividends, so you can get paid while you average in and wait for them to eventually recover once the interest rate increase effects have run their course. 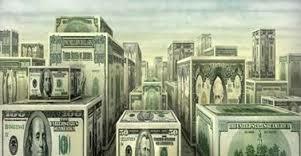 The following are some high-yielding REIT funds that make investing in REITs relatively easy. The funds trade on stock exchanges just like stocks, but spread out the risk of owning REITs among numerous companines. The funds pay healthy dividends that are suited for investors looking to generate income from their investments. See their current annual rates of return in parentheses. iShares U.S. Real Estate ETF (NYSE: IYR 3.58%) tracks the investment results of an index composed of equities in the real estate sector called the Dow Jones U.S. Real Estate Index. iShares Mortgage Real Estate Capped ETF (NYSE: REM, 12.88%) tracks the investment results of an index composed of real estate investment trusts that hold residential and commercial mortgages. UBS ETRACS Mthly Py 2xLvg Mortg REIT ETN (NYSE: MORL, 19.65%) holds mortgage REITs in the Market Vectors Global Mortgage REITs Index. MORL is designed to pay out two (2) times the dividends of the REITs that it holds. Index Fund is designed to replicate investment results that correspond generally to the price and yield of the S&P United States REIT Index. 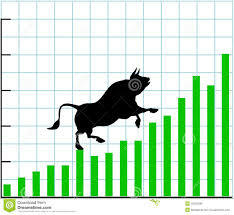 With major stock market indexes making new record highs, is there still a bullish case to be made for stocks? Can stocks continue to move higher from record high levels? It may be hard for many investors to accept, but one can still make a bullish case for stocks, even with the record highs and lofty stock valuations. The key is to think outside of the box regarding what the records highs really represent and take into consideration what may happen in the not too distant future in regards to corporate earnings. It is earnings that ultimately determine the direction of stocks, and therefore, earnings need to be the central part of any analysis regarding stock market direction. One way that the bullish case for stocks can be made is by looking at major stock market indexes through the prism of inflation. The media loves to focus on previous stock market index highs without taking into account how inflation factors into stock prices. While the Dow Jones Industrial Average, Standards and Poors 500 (S&P 500) Index and NASDAQ Composite Index making new nominal highs makes good headlines and creates a splash in the media, surpassing previous highs that were set years ago does not tell the full story. For example, the last time the NASDAQ Composite Index made a high just above the 5,000 level (5,046.86 to be precise) was during the dot.com bubble days of the year 2000. It took fifteen years for this record level to be exceeded. In April 2015, this previous peak for the NASDAQ Composite Index was eclipsed when the NASDAQ Composite Index raced above 5,100 on the back of a long bull market run and the incredible performance of its major component, Apple Computer (NASDAQ: AAPL). However, just breaching the former record level is not that great of an accomplishment. Since the NASDAQ Composite Index peaked at 5,046 in 2000, the overall economy has undergone fifteen years of inflation. While inflation has been relatively subdued during this fifteen time period, it is still a factor when determining inflation-adjusted record levels for stocks. In fact, the NASDAQ Composite Index peaked above the 6,300 level in 2000, when inflation since the year 2000 is factored into the index’s 2000 peak. Taking into consideration the inflation-adjusted peak, the reality is that the April 2015 nominal high in the NASDAQ Composite Index above the 5,100 level is actually more than twenty-three percent lower than the 2000 NASDAQ Composite Index inflation-adjusted peak of 6,300. In other words, despite media headlines heralding a new NASDAQ Composite Index record high, on an inflation-adjusted basis, the NASDAQ Composite Index needs to gain more than twenty-three percent to make an actual new high. 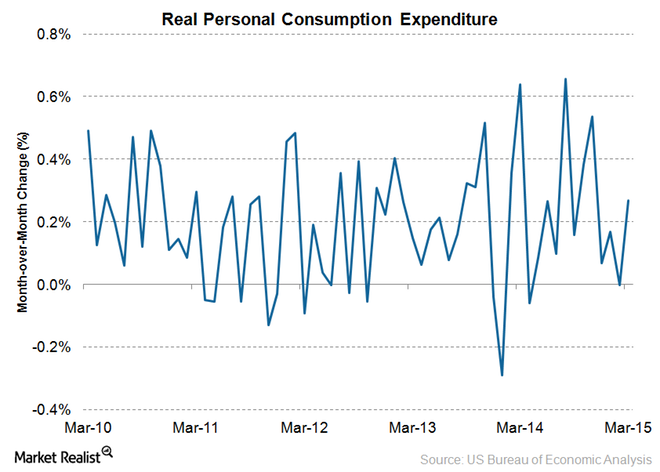 How does this all relate to the bullish case for stocks? It means that despite major stock market indexes making nominal new highs during 2015 that beat previous records, these indexes, and subsequently their underlying stocks, have room to move more than twenty percent higher before they reach the inflation-adjusted peak levels set during the dot.com boom that peaked in 2000. This is important information to understand, as is means the current stock market bull-run has room to continue higher. There are many ways to make the bullish case for stocks, even as stocks endure one of the longest bull runs in history and reach valuations that are well above the average historic price to earnings ratio (P/E ratio) of fifteen. The main reason to be bullish on stocks for the foreseeable future is that central banks around the world continue to pursue easy money policies. With the exception of the United States, most of the central banks in important economies around the world are providing some type of monetary stimulus in the form of Quantitative Easing (QE). On top of this stimulus, central banks are maintaining unusually low interest rates, which is making stocks attractive investments in comparison to fixed price interest bearing assets that are based on central bank policies. Another reason to be bullish on stocks is that corporate earnings, while taking a breather in the United States, continue to grow throughout the world. 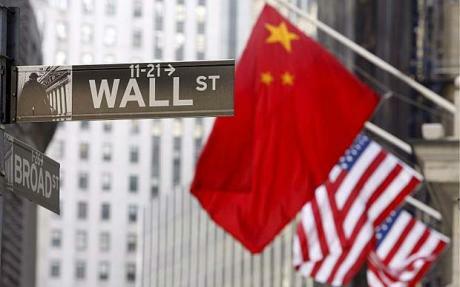 This is boosting world stock markets, even as the United States stock markets have trouble moving appreciably higher. While the first half of 2015 has been tough for United States domiciled companies’ earnings for a number of reasons, from the strong United States dollar to the crash in oil prices, these factors appear to be self-correcting. The second half of 2015 should provide a better earnings backdrop for United States based companies, which in turn should boost the stock market towards the later part of 2015. The United States Federal Reserve is expected to start raising interest rates at some point during the second half of 2015. While this will likely be bearish for stocks around the time that interest rates are initially raised, history tells us that the first two years interest rate increases is typically a bullish time for stocks. This is because the economy is usually strong when the Federal Reserve raises interest rates, which provides a lift to corporate earnings and to stocks. It is also because certain sectors of the stock market outperform during times when interest rates are rising. Specially, the financial sector does better than the overall stock market, because financial stocks make more money as interest rate spreads widen during interest rate hikes. 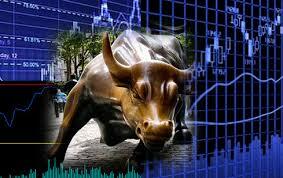 The bullish performance of financial stocks often leads the entire stock market higher. With China’s economy showing signs of slowing, it is time to figure out how to invest during the Chinese economic slowdown. 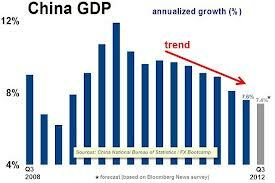 An economic slowdown in China does not mean a recession. It means a lowered growth rate. China has been growing between 7 and 12 percent for the past two decades. If economic forecasts are correct, China will grow between 5 and 7 percent over the coming year, and perhaps beyond. While many governments would welcome 5 and 7 percent annual economic growth, for China it is sub-par growth that could lead to implications not only for those invested in Chinese stocks, but also for Western companies that do business in China and derive some of their revenue and earnings from Chinese operations. The stocks of these companies may take a hit, if the Chinese economic slowdown is more severe than expected or if it turns into an economic panic. Knowing that China’s economy is slowing down, what are the options one can consider to invest during the Chinese economic slowdown? There are essentially three options. 1) Do nothing and remain fully invested. 2) Pare back holdings of Chinese stocks and fixed income products until the economic picture in China becomes clearer. 3) Sell all investments in Chinese stocks and fixed income products and sit on the sidelines. As can be expected, financial experts are split regarding which option is the soundest one to choose in reaction to the Chinese economic slowdown. What it really comes down to is whether one sees the current Chinese economic slowdown as something that is temporary and fleeting or as the beginning of a more protracted and serious slowdown. For those in the camp that think this is just a blip in a long trend of strong economic growth in China, options 1 and 2 make the most sense. For long-term buy and hold investors, option 1 is the preferable option. For those that are more inclined to trade the stock market, option 2 makes more sense. Option 3 makes sense if one believes that China has too many economic strains, such as a large shadow banking system, to make it through this slow down unscathed. 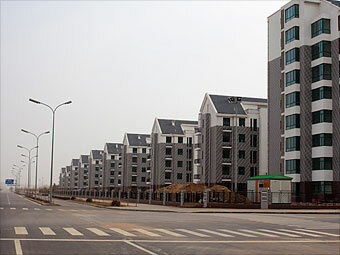 The reality is that China has taken on an incredible amount of debt over the past decade, including a lot of debt that is hard to quantify, because it is held in the murky shadow banking system that operates outside of the state regulated banking system. Those that think China’s economy is heading for a sharp economic slowdown tend to believe that the high levels of debt in China will cause any economic slowdown that materializes to grow far worse over time, as debt defaults cascade through the Chinese economy. As an individual investor either invested in China or considering making an investment in China, how should one react to the Chinese economic slowdown? If you are a truly long-term investor, then option 1 makes the most sense. A slowdown in China would likely cause a sell-off in Chinese stocks and fixed income products; however, if one is invested for the long haul, then the focus should be on future economic growth in China. Use any sell-off that materializes to add to positions, if you are seeking to increase investment exposure to the Chinese economy. If you are more of a medium-term swing trader or short-term momentum trader, then option 2 or 3 would be the best course of action. Of course, nobody knows for certain how an economic slowdown in China will eventually play out. The Chinese central bank and government could take drastic measures to boost the Chinese economy, which would likely boost Chinese stocks and fixed income products. Conversely, if their efforts are not successful or if a debt crisis unfolds, then a sell-off in Chinese stocks and fixed income products could be severe and long lasting. Just keep in mind that the best time to invest in any economy that is suffering from a slowdown is towards the middle of the slowdown, when the economic statistics are bleak, but appear to be nearing a bottom. Stock markets are notorious for beginning a new rally in the middle of a recession, and China’s stock markets will likely follow this same course. The following are some ideas regarding Exchange Traded Funds (ETFs) that can be used to invest in China. Some are leveraged and one takes a short position on Chinese stocks, so keep this in mind as you do your due diligence on these Exchange Traded Funds. iShares China Large-Cap (FXI) is an ETF that tracks the investment results of the FTSE China 50 Index, which is made up large-capitalization Chinese equities that trade on the Hong Kong Stock Exchange. SPDR S&P China (GXC) is an ETF that tracks the performance of the S&P China BMI Index. Ultrashort FTSE/Xinhua China ETF (FXP) is a short-oriented ETF that is designed to trade at two times the inverse (-2x) of the daily performance of the FTSE China 50 Index. China Small Cap ETF (HAO) is an ETF designed to mimic the returns of a small capitalization company index called the AlphaShares China Small Cap Index. FTSE China Bull 3x Shares ETF (YINN) is an ETF designed to trade at three times (300%) of the performance of the FTSE China 50 Index. Will Apple Be The First Trillion Dollar Company? Will Apple be the first trillion dollar company? Although a lofty goal that no other company has come close to achieving, that question is not so implausible as it once was. With Apple, Inc. continuing to report impressive revenue and earnings and its stock (NASDAQ: AAPL) on an upward trajectory, the one trillion dollar market capitalization mark is not as far off as it used to be. Apple is now the largest company in the world by market capitalization, and with its growth rate showing no signs of slowing and the company expanding its product offerings, it could very well be the first trillion dollar company in human history in the not too distant future. As of the spring of 2015, Apple is a $762 billion company, based on its market capitalization. That means it is already three-quarters of the way to becoming the first trillion dollar company in the world. AAPL would have to rise by slightly over 31 percent from current levels to reach the lofty one trillion dollar level. That may be a tall order for a company that alreasdy boasts a stock trading at $131 per share and has a lot of good news baked into its stock price, but it is not an impossible threshold to reach. If any company can reach trillion dollar threshold first, Apple is up to the task for a number of reasons. Before we go into the reasons, let us take a look at how a company’s market capitalization is calculated. It is a simple formula. To arrive at a company’s market capitalization, you take the total outstanding shares a company has and multiply the number of shares by the current stock price. That gives you the total value of the company, if for example, another company purchased every outstanding share at the current stock price. In Apple’s case, there are 5.82 billion AAPL shares outstanding. With a stock price of $131 per share, Apple’s market capitalization is $762 billion. To get to the $1 trillion market capitalization mark, Apple needs AAPL to get to $172 per share, assuming no change in the total number of outstanding AAPL shares. Why is it that Apple may be destined to be the first trillion dollar company? Apple has a big head start over the competition for starters. But, beyond their leading market capitalization, the company has a lot going for it that could propel it over the trillion dollar level. The reality is that Apple has a lot of momentum behind it. Over the past two years, AAPL has more than doubled in price, as the company has continued to wow Wall Street with revenue and earnings reports that beat Wall Street investor’s expectations. 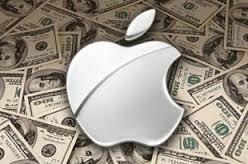 With Apple’s earnings projected to grow at a considerably faster rate than the growth rate for the average Standard and Poors 500 (S&P 500) stock, investors may eventually reward Apple with a higher price to earnings (P/E) multiple than its currently relatively benign price to earnings (P/E) multiple around 17. What may be holding Apple’s stock back from trading higher is its huge market capitalization. Stock market participants seem to be in disbelief that Apple can actually continue to rally higher with such a lofty market capitalization. However, just like the unloved stock market rally since the Great Recession, Apple just keeps chugging higher, boosted by solid earnings growth and good prospects for future growth. There are three major factors that may propel Apple over the trillion dollar mark over the next few years, making Apple the first trillion dollar company in the world. Continued sales growth in their flagship iPhone product is boosting earnings and expectations for AAPL. The iPhone 6 has been a big seller in 2015. Many existing iPhone owners have yet to upgrade to the iPhone 6. Added to that is new iPhone customers that are mushrooming both inside the United States and in foreign markets that Apple is targeting, such as China. iPhone sales were so strong in the first quarter of 2015 that they came in at 74.5 million in sales versus the 66 million in iPhone sales that analysts were expecting for the quarter. Additional quarters like this should send Apple’s stock closer to the trillion dollar mark. While the jury is still out regarding the ultimate success of the Apple Watch, it has the potential to be a big winner for Apple in the long run. Apple has a way of turning ideas that others think have little value into big winners. If the Apple Watch gets hot, it could provide another boost to Apple’s earnings, propelling the stock even higher. Many analysts have been skeptical about the success of Apple’s Watch. If they are proven wrong, look for upside surprises in earnings and revisions higher in AAPL’s stock price estimates. 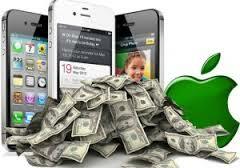 Apple Pay may be the thing that ultimately makes Apple the first trillion dollar company. 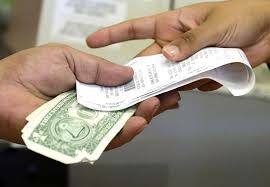 The future of money is cashless and paying with things such as your mobile phone. With so many iPhones in circulation, Apple has a huge advantage over the competition as it tries to establish itself as the dominant player in the electronics payment business. Retailers are getting on board and Apple has made agreements with most banks in the United States to accept Apple Pay. Once Apple Pay gets rolling and starts generating revenues and earnings from Apple Pay, the trillion dollar mark could be a foregone conclusion.